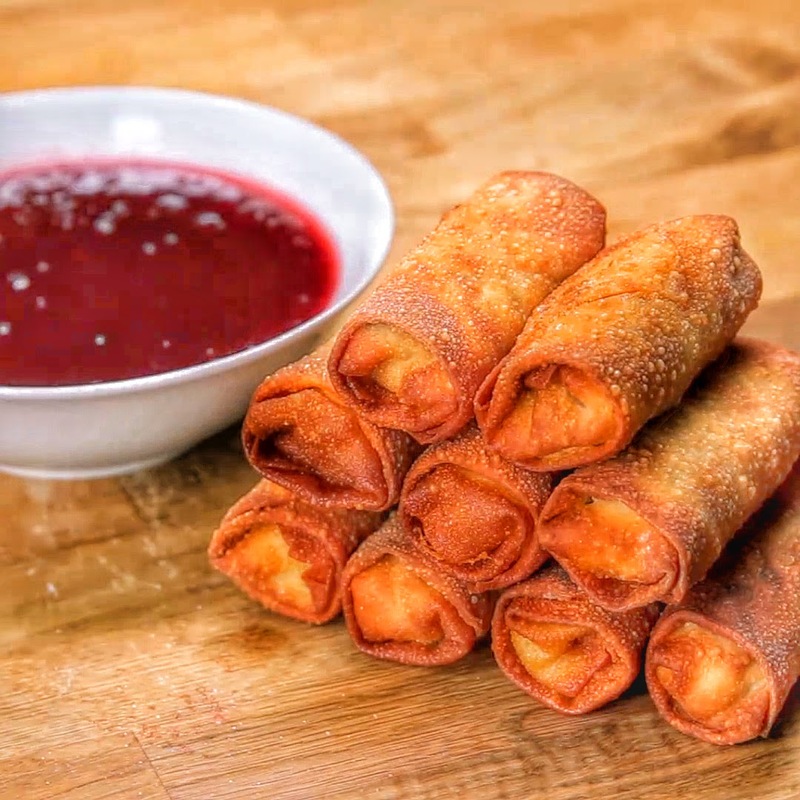 Combine sweet and sour cranberry sauce ingredients in a sauce pan over medium heat. Stir until smooth. Combine leftover ingredients in a mixing bowl to make the filling. Spoon about a tablespoon of filling onto egg roll wrapper. Roll and seal with egg wash. Heat vegetable oil over medium heat. Fry until golden brown. Enjoy!